Writing about 3-star French chef Marc Meneau is, in a way, like trying to write about Leonardo Da Vinci. Geniuses really need geniuses to write about them, to interpret them, to salute them, like buck privates in the presence of 5-star generals. 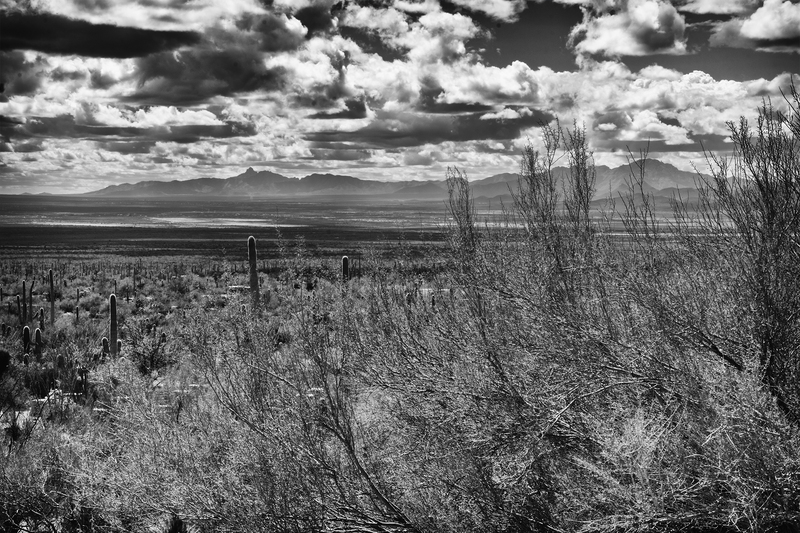 It’s a little bit like meeting God – you’re afraid to look at the burning bush. But sometimes star chefs just have to make do with lowly food writers. After a sublime, relaxing lunch at Meneau’s Vezelay retreat in France’s Burgundy region, L’Esperance, I retired to a library-like room, its dark blue and red plaid wallpaper and fireplace summoning visions of hunting lodges and nobles quaffing the Burgundies their vintners conjured up. I all but clicked my heels as I stood at attention and shook his soft, dry hand. Meneau’s tradition is to leave the kitchen and greet all of his guests after they’ve eaten themselves into a trance, feeling as if they’ve just made love with their clothes on. With his long white commis’s apron tied in a double knot at his waist, Meneau doesn’t look like a 3-star chef. More like an aging basketball player. This self-taught chef is tall enough and then some to reach over the tops of the sunflowers growing all over France. Unlike many famous French chefs, Meneau served no apprenticeship; instead he taught himself to cook from “livres de recettes” or cookbooks. And Julia Child championed him before he ever became famous. When I caught a glimpse of him the first time that day, with his blue-and-white striped shirt sleeves rolled up past bulging forearms (which got that way not by pumping iron but by lifting pots weighing as much as 50 pounds), I assumed that he was the dishwasher sneaking out for a quick smoke. No toques or fancy white chef’s coat for him. And just as I said that, a waiter interrupted us, whispering in his ear. Meneau smiled his big craggy smile, pressed his left hand over my right hand and bowed slightly. I suddenly felt like the lady in the tapestry with the unicorns, bidding farewell to her courtly lover off to do battle with dragons. All I lacked was a trailing train of gauzy fabric and a pageboy carrying it as I strolled through the gardens behind L’Esperance. But more surprises awaited me. Most chefs seem content to wield their spatulas and chinois and feed their admirers. Some might write a cookbook or two, full of challenging recipes and glossy photographs. Marc Meneau, on the other hand, wrote a stunning cookbook with a historical slant. Remember that Meneau cooks in the shadow of a 9th-century basilica that looms over the area, built at the top of a steep hill, the road paved with stones that pilgrims still walk up to venerate the mythical site harboring the bones of St. Mary Magdalene. Or so the story goes. 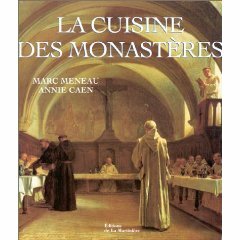 Meneau’s deep reverence for his terroir shines through clearly in his book La Cuisine des Monastères (Cooking of the Monasteries, 1999, alas not translated yet into English), written with Annie Caen. It’s his tribute to the medieval monks who basically created much of France’s culinary heritage, from cheese to wine to bread. Lavish period illustrations bring alive the Middle Ages and the worldview of the times. Would that all cooks and chefs were so blessed. The following recipe and comments come from La Cuisine des Monastères, p. 136. In the ninth century, a chicken was worth 10 eggs. In the Saint-Wandrille monastery, in 822, the annual consumption was 140 roasting chickens, 37 geese, and 415 small hens. The monks excelled in the raising of fowl and created a “label de qualité“: the “pullis regalis,” served to the king; the “pullis dominicalis,” served to the nobles; the “pullis vindemialis,” served when the wine grapes were harvested, as those fowl came to maturity at the same time as the grapes. Boil 3 cups of water, add the linden blossoms, and cover and infuse for 15 minutes. Strain and reserve. Salt and pepper the chicken pieces. Heat a large heavy Dutch oven over medium heat and melt 2 ½ T. of butter. Lower the heat and add the shallots, stirring until translucent and not browned. Add the chicken pieces; brown until slightly golden. Discard the grease from the pan. Add the linden infusion to the chicken and cover with a piece of baking parchment cut to the same circumference as the pan; simmer for about 35 minutes. In a medium saucepan, cover the eggs with salted water, bring to a boil, reduce heat to medium-low, and cook for 9 minutes. Drain and rinse under cold running water. Peel and cut in half lengthwise, remove the yolks and mash them with a fork in small bowl. In a small skillet, melt the remaining butter and cook the mushrooms. Mix them with the egg yolks in a bowl and add the Parmesan, combining well. Stuff the egg white halves with this mixture. Check to see if the chicken is done; it should be tender but not dry. Remove from the sauce, debone the thighs. Keep warm on a platter. Reduce the sauce from the chicken by one-third to one-half, add 1/3 cup of the cream, return to slow heat, allow to thicken slightly; add the lemon juice and season to taste with salt and pepper. Whip the remaining cream; then fold it into the sauce. Lightly brown the eggs under the broiler. Arrange the chicken pieces in anatomical form on a platter. Pour over the sauce, decorate with the eggs, and decorate with a few linden flowers. Serve immediately. Next Post The Omnivore’s 100—Think You’re an Adventurous Eater? CAN SOMEONE PLEASE LET ME KNOW WHEN “La Cuisine des Monastères” IS TRANSLATED IN ENGLISH. I HAVE RECENTLY BECOME A LOYAL FOLLOWER & ADMIRER OF KING MENEAU. How very nice to do a bit of armchair-traveling here on your blog, Cindy!